Loosen the charger air bypass valve pipe clamp (3). Remove the charger air bypass valve pipe (2) from turbo charger wastegate regulator solenoid valve. 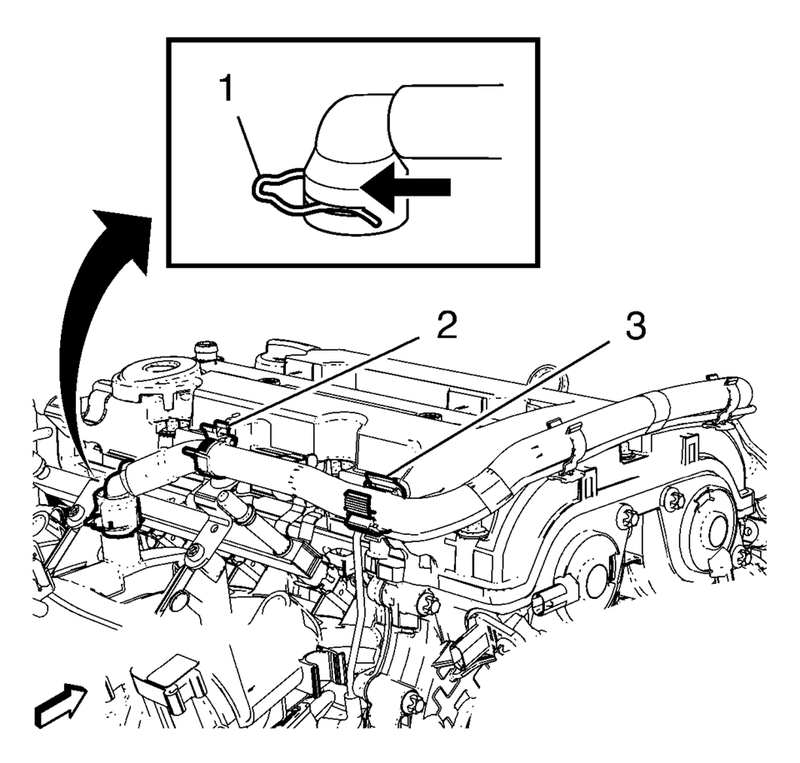 Install the positive crankcase ventilation pipe assembly (1) to the camshaft cover retainer clips. 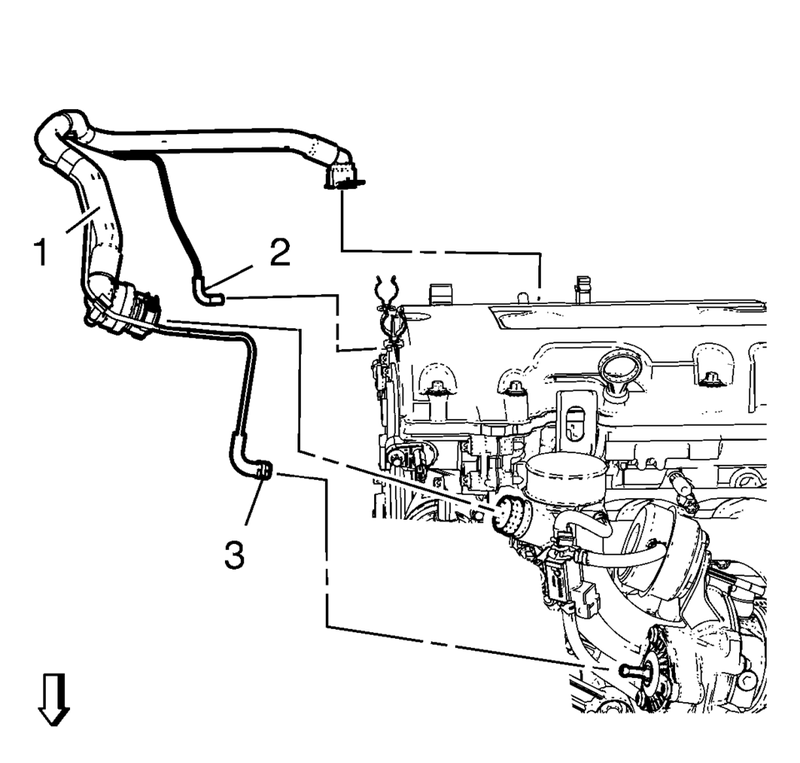 Connect the positive crankcase ventilation pipe to turbocharger. Install the charger air bypass valve pipe (2) to turbo charger wastegate regulator solenoid valve. Install the charger air bypass valve pipe to turbocharger. Fasten the charger air bypass valve pipe clamp (3). Install the positive crankcase ventilation pipe to the intake manifold and fix with retainer clamp (1). Clip in the positive crankcase ventilation pipe to the 2 retainer clips (2) and (3).